One of the major reasons teachers sometimes go years without an observation is the time burden for observers. Making frequent, brief observations a part of the daily routine can help provide teachers feedback they deserve while not overburdening fellow teachers and administrators. I spend a lot of time in classrooms as a school coach. Typically my visits are brief ones, lasting from 3-5 minutes. I have come to appreciate the informative power of brief classroom observations. While itâ€™s true that you donâ€™t see everything, there is still much to capture and consider. Brief observations can demonstrate the pedagogical choices made by the teacher for homework review. In one classroom, I note the teacher facilitating homework teams for table talk and classmate support. Just down the hall a teacher is modeling an answer on the board while students attend to that demonstration. In still another class, the teacher begins homework review by asking for volunteers to storm the white board and show their own solutions. By conducting short observations, I see an array of pedagogy across the school within a manageable time frame. Then, I have the opportunity to consider how I might share and deepen classroom practice (e.g., how do we use homework to support student learning?) by building on the strengths that exist already in the school. Recently, I stepped into an English class in the middle of the period. A young athlete was standing in the middle of the room, surrounded by standing and sitting classmates while he presented on wrestling and how it has become his passion. His helmet and some other equipment were there for props. The teacher was posing questions to the presenter, as were his classmates. I noticed as well that the teacher was completing an assessment about the presentation on his clipboard. Engagement was high as evidenced by eye contact and the questions students asked. I came partway into this presentation and left before it was over, yet the slice of classroom life was rich. 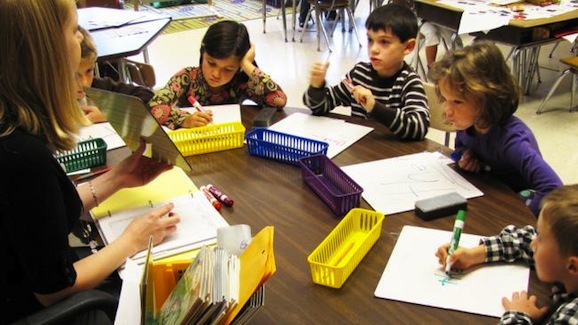 Informal and brief observations provide observers with a sense of school-wide patterns of teaching and learning. Visits to multiple classes help teachers and school leaders identify needs for professional development. Teachers receive timely and frequent feedback multiple times each year, providing the opportunity to reflect upon and improve practice. Observers pick up on good practice and can help spread it throughout their school. There are many different models for this work. As noted above, Kim Marshall focuses on mini-observations. Other schools engage in Instructional Rounds or learning walks. In my experience, the specific model is less important than the way it is carried out. When educators experience observations as supportive, non-judgmental opportunities to connect about what works for students, the practice flourishes. If you still donâ€™t think you can see much in three minutes, watch this video (or, better yet, go to a colleagueâ€™s classroom in your own school). Teachers and administrators that see it have all told me that there are several practices they appreciate and most people have a suggestion or two. Have you had experience with informal observations? What makes them work?